Everybody wants a full set of gleaming, white teeth to show off in photos and at social events. But how can you maintain your teeth and keep them looking bright? 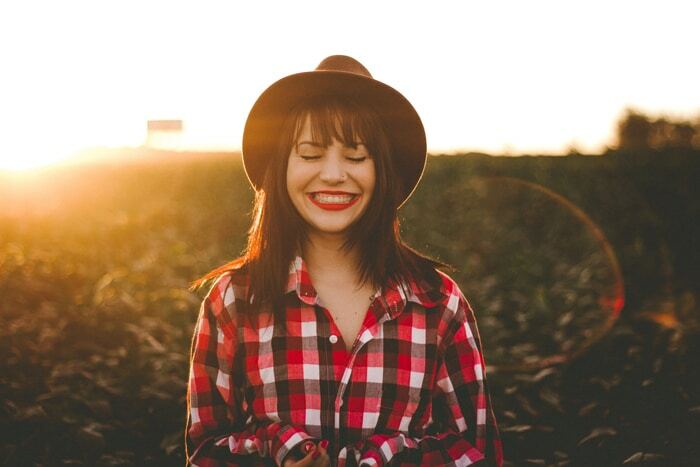 The obvious answer is teeth whitening, which is a very effective way to brighten teeth but what about those people that like to take a more natural approach, what options are available to them? Well, luckily there are several things you can do, without going in for a whitening treatment. Here’s how to brighten your smile at home. Your dental health regime has a huge impact on your ability to keep stains off your teeth. You need to brush and floss twice a day to prevent decay and to stop plaque building up and turning into the horrible yellow tartar deposits that are the source of so much staining. Regular brushing and flossing will also help to prevent the stains caused by certain foods and beverages from building up, which leads us to the next point . . .
A bad diet isn’t just harmful to your waistline it also plays havoc with your oral health. If you have a high-sugar diet or a highly-acidic diet, your teeth will darken a lot faster than someone that eats a diet full of wholesome foods such as fruits, vegetables and dairy. If you’re snacking on lollies throughout the day and drinking a lot of soft drink your teeth will suffer. If you must drink soft drink use a straw to prevent contact with teeth as much as possible. Coffee and red wine both stain teeth so if these are part of your regular diet just make sure you brush and floss regularly to remove the stains. It’s also a good idea to swish some water around your mouth after you’ve had a cup of coffee or a glass of red as this will prevent the staining substances form sticking to your teeth. Smoking is a horrific habit, for your inner and outer health. Long-time smokers all suffer from the telltale nicotine stains on their teeth so if you’ve got a habit, quit now before it’s too late. Nicotine stains can become so bad that even in-chair whitening treatments are unable to turn back the damage, so if you love your teeth and your health it’s time to think about quitting. If you wake up every morning with a dry mouth you could be damaging your teeth. Saliva keeps your enamel healthy and enamel is responsible for repelling stains and other nasties that damage the health and aesthetics of your teeth. If you find yourself suffering from a dry mouth at a regular basis you should visit your dentist. A dry mouth can be a sign of sinister problems such as sleep apnoea or blocked nasal passages that force you to breathe through your mouth while you sleep. Certain medications, especially antibiotics, can stain your teeth. If you’ve noticed discolouration in your teeth after the use of certain medicines it may be worth contacting your doctor and seeing if there is an alternate form of treatment. In some cases, the medication will be absolutely necessary and if that is a case you should make an appointment with your dentist to come up with a treatment plan that will combat the staining. A good home care regime and a holistically healthy lifestyle will go a long way towards brightening your teeth but it’s also important that you visit your dentist every six months for a professional cleaning. Despite best efforts plaque and decay can build up in your mouth and only a professional clean or filling will be able to remove plaque, tartar and decay properly. There’s a reason your teeth always feel so good and clean after you visit the dentist and that’s because they are able to give your teeth a far more thorough clean than you can with a brush and some floss. Most private health care plans provide you with two free visits a year so make the most out of your money and get a professional scale and clean to remove all those stains. If you follow this advice you’ll give yourself the best chance of enjoying a bright white smile for as long as possible. Of course, other factors can come into play that make it impossible for you to enjoy white teeth and if that is the case contact your dentist, and enquire about a professional whitening treatment. It is very safe and effective and if you opt for an in-chair treatment you’ll see results almost right away! If you want to know more about the options available to you, contact dhealth today.